How do you become a market leader in our industry? You need an in-depth knowledge of lime products, how they are applied and how it reacts across a wide range of industrial and environmental sectors. 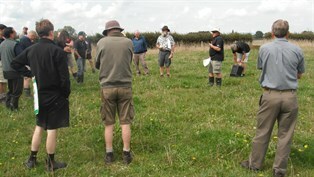 When you partner with us you get that depth of experience. We have market specialists with a background in your industry; so they have a thorough understanding of the processes you use and the issues you face. When you partner with us, we make it our business to learn all about yours – your industry environment, your markets, challenges and competitive advantage. In that sense, you might say we’re making an investment in your business from the outset. What’s more, we’re in it for the long haul. We’re proud to say that most of our customers have been with us for at least 20 years. We endeavour to respond to the specific needs of your business-whether its productivity, process efficiency, logistics, environmental needs or bottom line profit. Importantly we are not looking to add complexity to your business. Instead we focus on cost effective and practical solutions that deliver real value. When it comes to account service, you want to deal with people who can hit the ground running in your industry. That’s why we have market specialists for each market we serve. 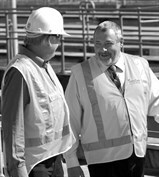 These specialists have a thorough understanding of the processes you use and the issues you face. Our links to Graymont give us access to a depth of expertise spanning technical support, product development, design & engineering and project management. As a client of Graymont, you’ll have access to our full technical resources, professional account management and forward-thinking sales support. While we may be a thoroughly modern business, we haven’t forgotten good old fashioned Kiwi manners. You will therefore receive prompt attention to your requests and issues you may face, delivered with a can-do attitude and a friendly voice at the end of the phone. We start with a raw product of high grade limestone, with purity often exceeding 95%. Then we apply our strict product controls during manufacturing and monitoring by our own in-house Process Control Laboratory. In addition to the rigorous analysis carried out by our team of in-house chemists and technicians, Graymont is a Telarc ISO 9001 Registered Supplier. There is then another layer of quality control that’s specific to your business. Where a strategic business partnership is established, we can agree to meet testing protocols up front, then track and report to you as required. 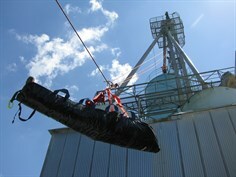 For many of the industries we serve, continuity of lime supply is crucially important. That is why we place great importance on sales and operational planning is. 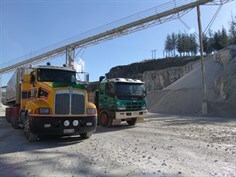 Looking at the bigger picture, our quarries contain plentiful reserves of high grade limestone-enough to guarantee 40 years of production, at full operating capacity. Our logistics network can ensure efficient delivery anywhere in New Zealand or the Pacific. 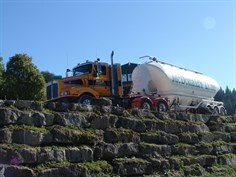 We can advise on the most practical and cost-effective way to transport lime to your site – whether it’s by road, rail or sea. We maintain long term associations with logistics and freight operators. We can also help you store and handle our products more efficiently. Let’s not lose sight of the fact: that it is essential to supply competitively priced solutions of products. 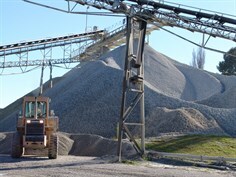 Being New Zealand’s largest lime supplier, our scale of operations allows us to deliver a quality product at competitive rates. We’re constantly looking for solutions that improve your business profitability. If there’s a way of helping you to do things smarter, faster and more cost efficiently; we’ll find it. Our business involves working with chemicals, construction and quarrying-so it’s not surprising that health and safety is one of our major priorities. In addition to our own rigorous policies and systems, we work proactively with our clients to share and develop best practice in this area.